We’ve come a long way, but finally we can announce the winner of our #BareYourBeard competition on what will be someone’s most magical #WorldBeardDay yet! But before that, let’s take a quick look back to all the entrants that showed off their bristles. With a few honourable mentions to our dedicated overseas fans that unfortunately couldn’t take part and many entries from beardy guys up and down the country, we were truly overwhelmed with the responses! And now, one month since #BareYourBeard began, we can finally make someone’s day! Sophie from Photograph Art Studio 25 and Samuel from the Bristlr team! Now before we jump right in we have one big thank you to add – We couldn’t have done our photo shoots if not for our friend Photograph Art Studio 25! With her amazing photographic skills, our buddy Sophie captured all of our finalists, and their beards, in their best light. Couldn’t resist a quick selfie opportunity to commemorate the day. We look forward to working with you again! Joseph brought fierce moustache game, with curls to make any facial hair fanatic jealous. He told us he loved Brisltr because it united him with his current boyfriend. A sweet story, a handsome face and a truly enviable set of face furniture. 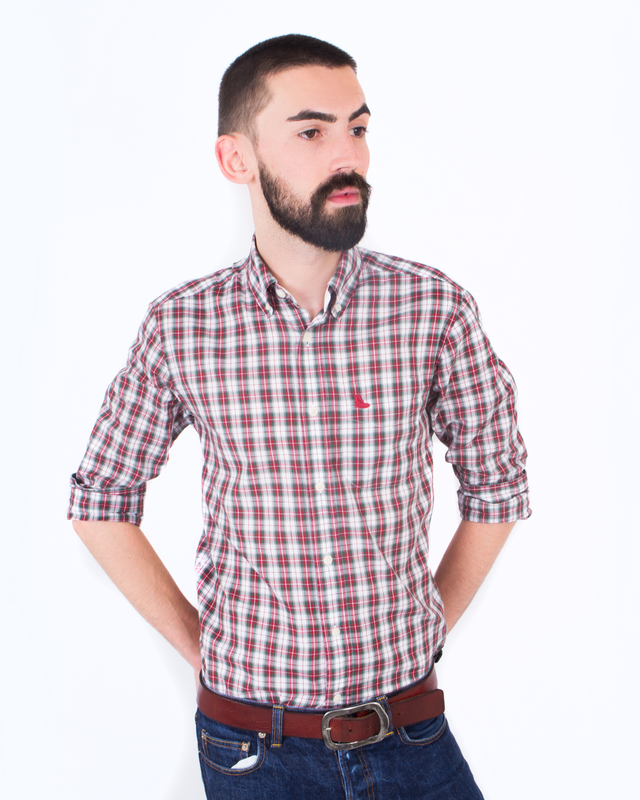 Chris was a last minute entrant that really caught our eye, not just with the beard but those sassy eyebrows. 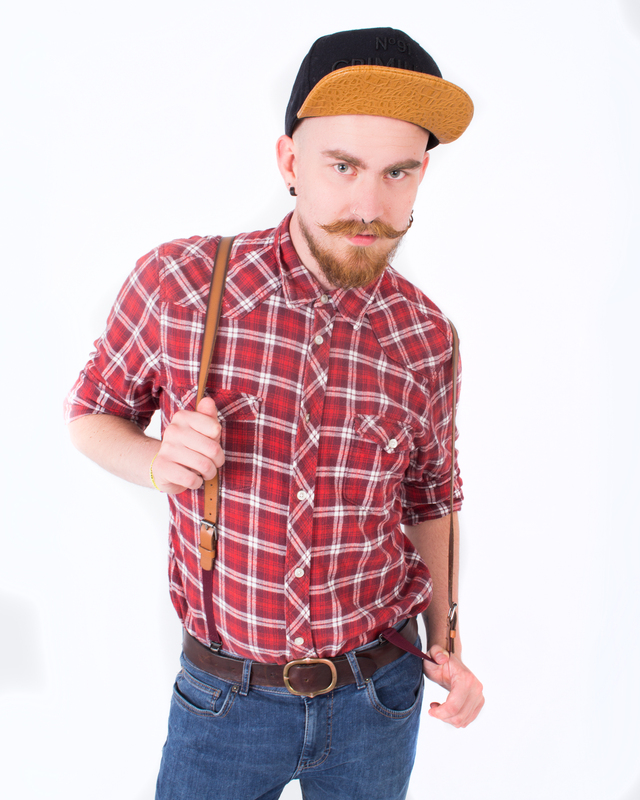 With a punk look, and a finely shaped beard you might not expect to find a heart of gold. However, Chris was approachable, fun and really got in to the photo shoot. His line “#BareYourBeard before your beard bares you,” still keeps us entertained. Dougie was one of our few Instagram entrants based in the UK! 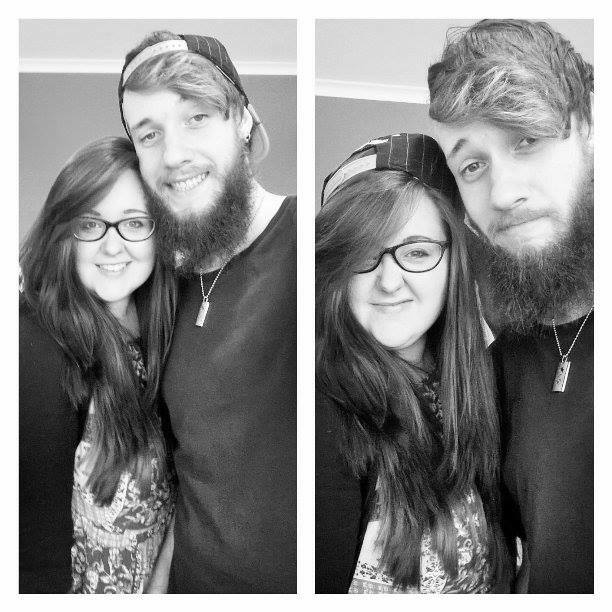 The length of beautiful beard came all the way from Norwich. With him he brought a friendly demeanor, and shared a touching story of how much the chance at being a beard model meant to him. To top it all off, he’s even provided us with a beard oil recipe! It’s a tough choice we’ve got to make. All of our finalists took the time to show us their stuff, and they all worked the camera, serving fierce beard game in their photo shoots. But there can be only one winner! We’ve kept an eye on Twitter, and we’ve seen you all make some noise for your favourites. 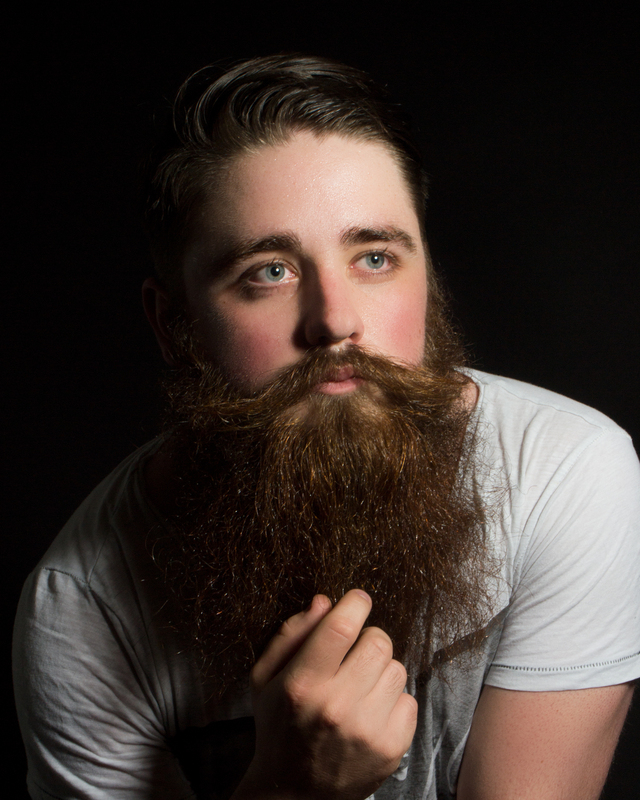 Our choice isn’t made on beard game alone – we evaluated our finalists before, during and after their photo shoots. Nothing too scary, but of course we’re not going to choose our winner based on looks alone! We’re not a superficial bunch. 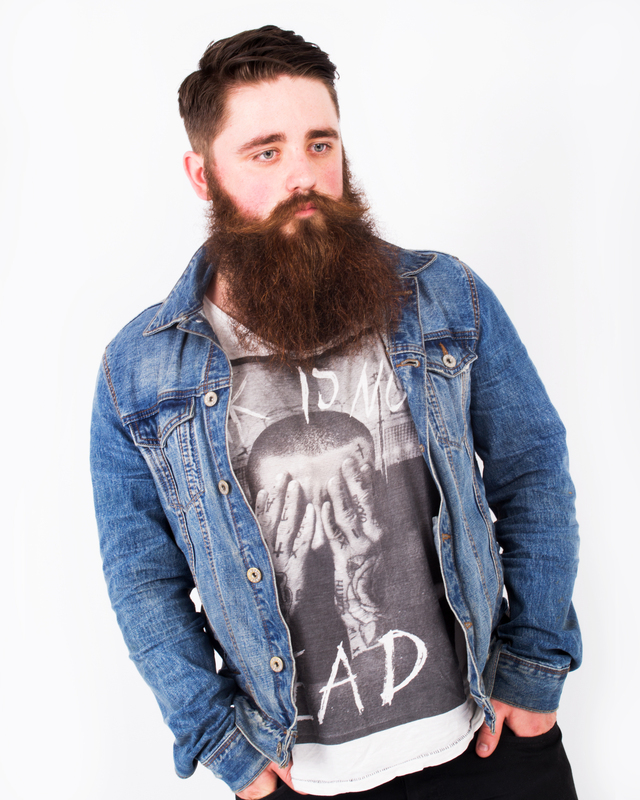 With a story of a supporting mother that really wanted him to go on to become a beard model, our competition helped Dougie on that journey as his first modelling gig! Not only that, Dougie came loaded with tips and tricks. We were most impressed with his beard oil recipe, not to mention his own method of temporary beard colouring! This won’t be the last you hear of Dougie either – we’ve talked about getting him back to do guest entries for our blog, so who knows what his next beard tip will be? Our lucky winner will be receiving – a beard pampering set from Beard Lab, a beard pampering session from a nearby barbers, a selection of prints from the #BareYourBeard photo shoot and a whole lot of publicity from us! We wish you all the success in your modelling pursuits, Dougie! Now we can’t forget about our runners up, Joe and Chris – your time with us was not wasted! In addition to your own publicity from us, you’ll also receive a digital selection of the prints from your #BareYourBeard photo shoot, and some scented beard oil from Beard Lab! We hope you’ll both keep in touch! Until then, thank you so much to ALL of our entrants for getting involved, our fans keeping the hype up and our finalists for taking the time out of your schedules to get involved with our photo shoots. We hope you’ve enjoyed the experience as much as we have! And of course, we couldn’t have done it without Sophie from Photograph Art Studio 25! Thank you! Keep an eye out, our next competition could be just around the corner!